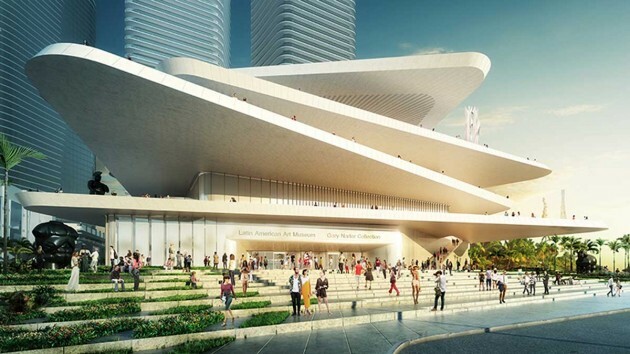 FR-EE / Fernando Romero EnterprisE have announced their concept design for LAAM, the Latin American Art Musuem, that will be located in Miami, Florida. LAAM is going to be situated within a residential complex, so it will work as the main access to the people living in the 111 apartments, which are going to be built later. The idea behind this conception is to offer something we could call “aesthetical quality life”. Thus the museum going to be a sort of meeting point for the residents and their visits. In order to translate this context, Fernando Romero has proposed a building generous in terraces and open spaces to transfer the exterior context into the building. 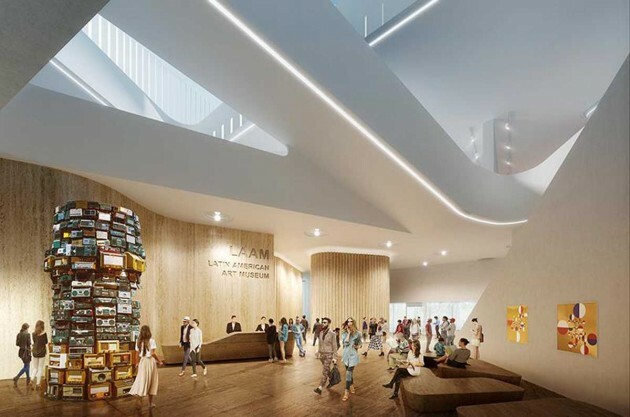 The terraces of the different floors can indeed be called “sculptural gardens”, since they will contain the art pieces at open air. This will emphasize the benefits of the tropical architecture, such as natural air circulation, access to open spaces, foliage and the presence of the sea and the sun. 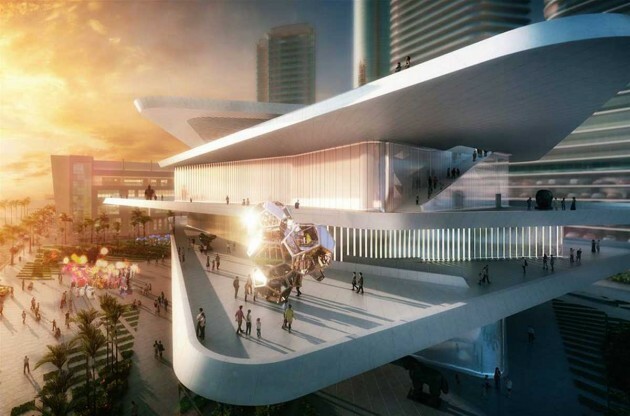 The terraces will also spark off the curiosity of the neighbors and the pedestrians strolling in Biscayne Boulevard, so it will also work as an invitation to visit the museum. The different levels of the building define LAAM’S program. 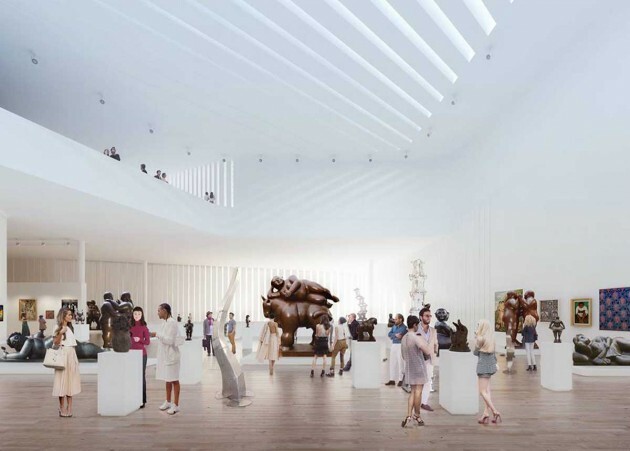 The first floor will be reserved to young and emergent artists; the second one will be for temporal exhibitions; the third floor will house a selection of 600 pieces belonging to the permanent collection; finally, a restaurant will crown the top of the building. 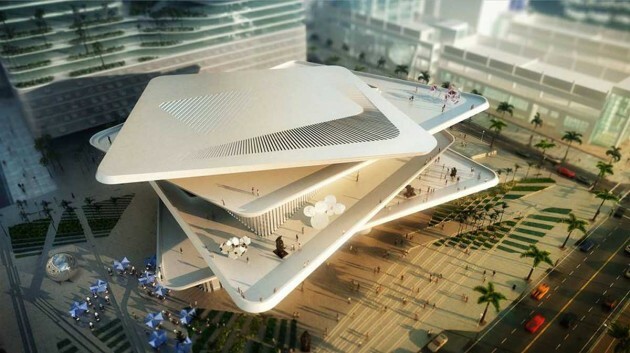 LAAM will not only be a flexible platform for the promotion of Latin American modern and contemporary art, but also its best ambassador in Miami: a venue where young and emerging artists will find an appropriate atmosphere, where tourists and locals will be able to discover the new artistic proposals and where the fans will have the chance of discovering one of the most ambitious collections of Latin American art. The aim is to transform LAAM into the most significant institution for displaying this art in America. It will be completely focused on promoting its knowledge through a continuous process of appreciation and reinterpretation of Latin American art and its diaspora.